Samsung Galaxy S2 HD set for UK debut? 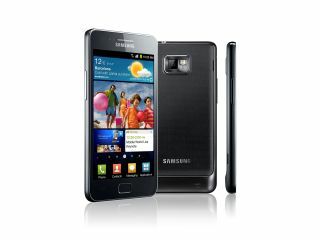 The Samsung Galaxy S2 HD, sporting a stunning 1280 x 780 screen among other tweaks, is already lined up for a US release and there are now reports that it could be heading to the UK. We love the Samsung Galaxy S2 and the Super AMOLED+ screen certainly does not do it any injustice, but an HD screen would be the cherry on top of the icing on the cake. The Galaxy S2 has been one of the hottest phones for the past year and has spearheaded Samsung's recent dominance in the mobile phone market. This rumoured handset is also thought to have extra beef, including a slightly larger 4.65-inch screen, NFC chip and a juicier battery, clocking in at 1850 mAh. There is no word on a possible Samsung Galaxy S2 HD UK release date would be (if ever), or what price that handset will come in at. As Samsung is set to unveil the Galaxy S3 at Mobile World Congress in February, it would make sense to launch the S2 HD before this.